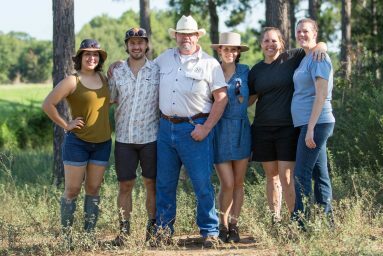 The Harris family has been raising livestock on pasture for 151 years. Building on farm processing abattoirs brought on a steep education curve that we are still riding. 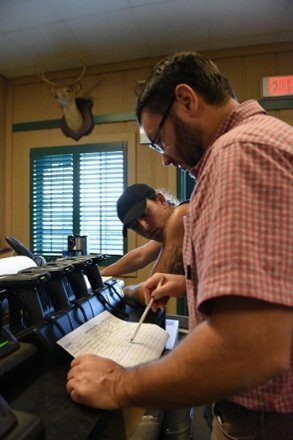 When the red meat processing plant opened, we had two customers: Whole Foods Market and Publix Supermarket. We were, and are still grateful, for these grocery relationships, as they gave us the volume we needed to operate our processing abattoir. Whole Foods bought whole carcasses and Publix bought ground beef, which made keeping track of inventory pretty simple. We had two skus, and sold 100% of what we processed by the week’s end. We love these high quality, healthy, artisanal crackers. They are hand-made and free of preservatives or stabilizers. Based out of Atlanta, Georgia Sourdough Co. sources its 100% organic flour and other all natural fresh ingredients from local farmers. 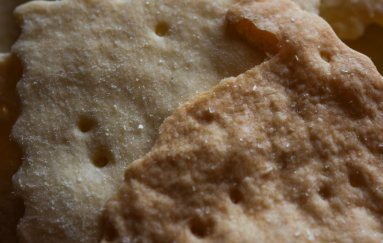 The cracker dough is mixed, rolled, sliced and baked by hand. 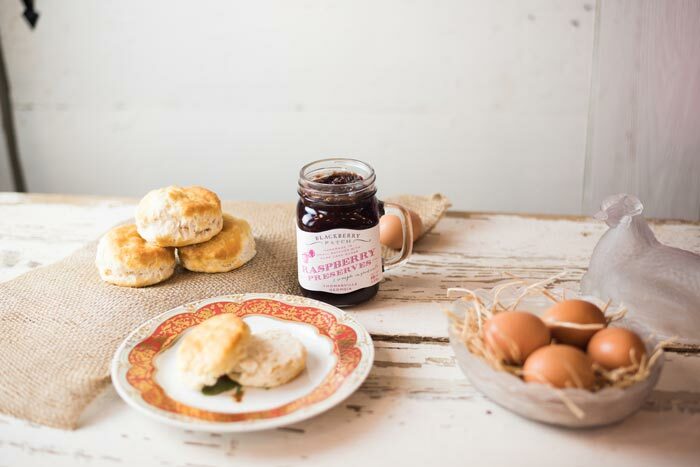 Georgia Sourdough Co. was started by long-time foodie and baker Tracy Bribbon with a focus on creating a snack that was healthy but still had old fashioned taste. 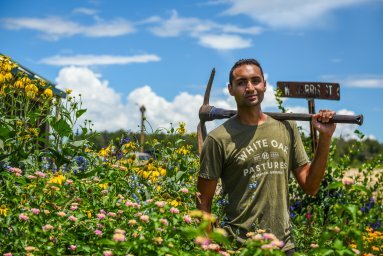 The 8th Annual Chef's Collaborative Summit "Growing Community, Owning The Future" kicked off its three day event right here in busy Bluffton, GA! We hosted an all-star group of chefs and farmers Friday night for a delicious farm-to-table dinner. Saturday morning we toured the farm and then the Collaborative headed back to Atlanta for the remainder of their three day summit. 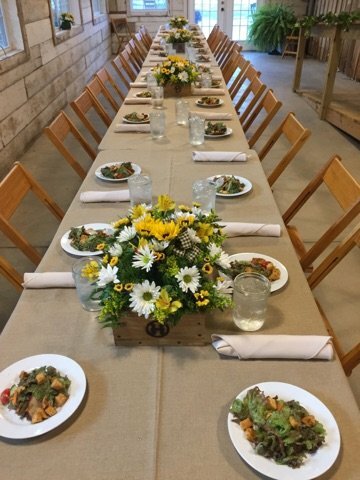 Friday dinner was an effort from the whole farm: the field, the store, and the restaurant all worked together to bring this delicious meal to our honored guests. Tell us a little about Miller Union and what you do? Miller Union is on the former site of the Miller Union Stockyards that occupied the entire block from the late 1800s through the 1920s. 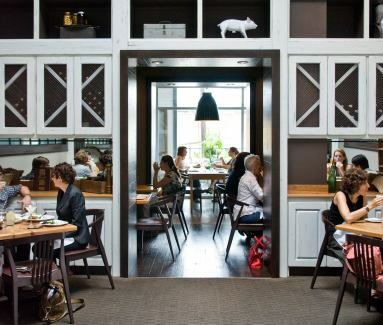 We opened in 2009 and have been committed to serving fresh seasonal food with sustainable practices ever since. I am the executive chef and co-owner, along with my business partner Neal McCarthy, who runs the front of the house and our beverage program. Shotwell Candy Co. simply wouldn't be where it is today without my family and friends”. Jerrod Smith started Shotwell Candy Co. in 2012. He was working full time as a corporate attorney but somehow made time for his wife and three young children and experimenting to craft the perfect caramel. 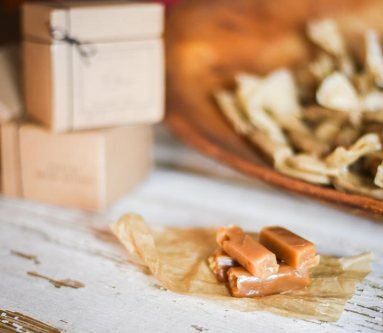 Once his business began to grow, Jerrod’s family and friends stepped up to support him in cooking, cutting, wrapping and packaging the delicious caramels. -Tell us a little bit about Epic, and what you all do? EPIC bars started in an effort to provide an on-the-go grassfed protein option. We created a product which not only regenerates our bodies but regenerates the land and supports animal welfare. -How did you get into the business? EPIC wasn’t meant to be regenerative ag focused- it was focused on grassfed meat-grassfed was better for the animals and the end consumer. However, we thought the land component was missing and began to specifically support regenerative ag. -Why do you choose to support White Oak Pastures? 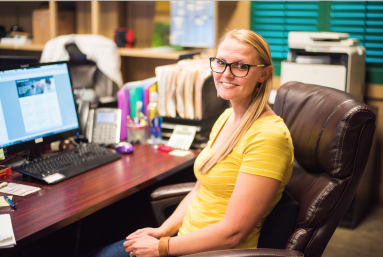 If you have called White Oak Pastures with a product question, and reached our Customer Service Department, you have likely spoke with Sabrina Carnley, our Order Manager. Sabrina says she has “made lifelong friends and connections here” and loves that “everybody feels like a family- I love the small town feel of everything”. Sabrina fully embraced White Oak Pastures life, moving down to Bluffton after her husband was hired by the farm. Sabrina is married to Ryan, our Permaculture Manager, and lives with her four dogs in downtown Bluffton in one of the homes the farm has renovated. Who doesn’t love a good fruit preserve, jelly or syrup? Blackberry Patch uses local fruit to make hand crafted, small batch, genuinely high quality products. You owe it to yourself to have a quality fruit syrup if you’ve never had one. We love pairing their syrup with our ice cream and pancakes. 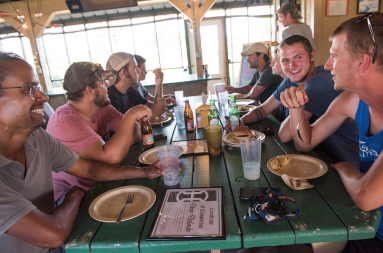 “The Internship Program at White Oak Pastures was once just an idea. How many countless emails and phone calls were intercepted as students and other like-minded people began begging for the opportunity to come learn with us? We heard you. Now we offer one of the most comprehensive regenerative ag internships in the country. We are not perfect. But we are better than we were this time last year. Success is such a personal measure. Our success is perpetuated each time an intern leaves here with new knowledge, a realized concept, or the desire to go further and know more”.